As a kid growing up in Morgan Park in the 1930s, Duluth-native Russell Mayberry dreamed of working in radio. Later dreams of becoming an actor didn’t come true, but Mayberry did find work in television in the early days of that industry in the late 1940s; he worked his way up to become one of the most prolific television directors in Hollywood. The Mayberry family came to Duluth from Pennsylvania around 1915 to work in the newly opened U.S. Steel plant in Morgan Park. Russell’s grandparents, John L. and Mary, both of Scottish descent, lived at 105 2nd Street in Morgan Park with their seven children. The oldest, John R., would become Russell’s father. Next in age was Howard, who became a professional boxer and was called by the Duluth News Tribune “one of the greatest fighters ever developed in Duluth.” Across the street from the Mayberrys lived Andrew and Nettie Johnson; their daughter Ethel would later marry John R. Mayberry. Russell was born on December 22, 1925, to John R. and Ethel Mayberry. The family was residing in Morgan Park, at 153 1st Street, and John was working at the steel plant after having served in the Navy during World War I. Russell, the oldest child, was followed by brothers John A. and Robert. The boys grew up in Morgan Park and in West Duluth, and in the late 1930s the family moved to Arnold in Rice Lake Township, north of Duluth. Russell attended Duluth Central High School, where his interests included participation on the swimming team, the track team, and student council. He also served as vice-president of his senior class. He graduated in 1943. After high school, Russell Mayberry worked at the steel plant and took classes at the Duluth Junior College, majoring in engineering. He also worked at WEBC radio as a disk jockey, hosting a program called “The One O’clock Jump.” But he said later he was losing his interest in radio and beginning to set his sights on an acting career. He took part in some local theater, including a role in the 1946 Duluth Little Theater production of Laura. Upon completion of junior college, Mayberry was accepted into the drama program at Northwestern University in Evanston, Illinois. While there, he said, he learned that there were many people with better acting skills, and he became more interested in behind-the-scenes work as stagehand and stage manager. In 1949, when NBC started a new television affiliate in Chicago, Mayberry was hired to work on The Kukla, Fran and Ollie Show. It was his first job in the new medium of television, and others soon followed in Memphis and New York. His first break in directing came in New York in 1961 when he was assigned to make television commercials for Marlboro cigarettes. Because of the success of those commercials, he was promoted to head of the ad agency’s West Coast office, and he moved to Los Angeles. In 1963, Mayberry was hired by the production company Screen Gems to direct episodes of television sit-coms, including Bewitched, I Dream of Jeannie, and The Monkees. In 1967 he became a free-lance director, working mostly on television series episodes and made-for-television movies. From 1967 until 1995, he directed about 200 television series episodes, including 18 episodes of In the Heat of the Night, starring Carroll O’Connor; 12 episodes of The Equalizer, with Edward Woodward; 12 episodes of Magnum, P.I., which starred Tom Selleck; 9 episodes of Kojak, with Telly Savalas (who would later marry Duluthian Julie Hovland); and 10 episodes of That Girl, starring Marlo Thomas. 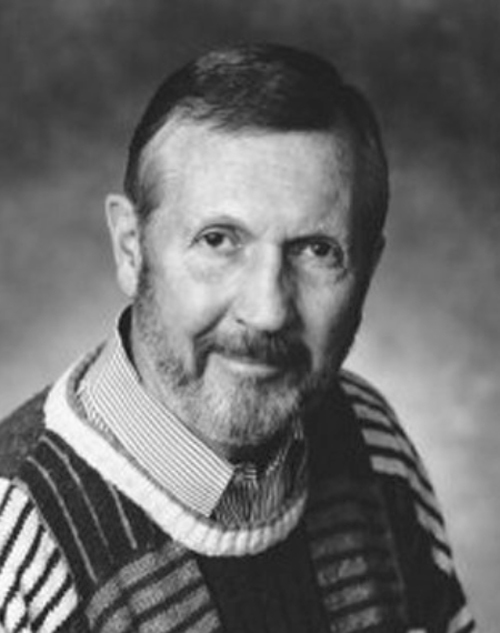 In addition, Mayberry directed episodes of Dallas, Star Trek: The Next Generation, The Fall Guy, Walt Disney’s Wonderful World of Color, The Rockford Files, Marcus Welby M.D., Baretta, McCloud, Then Came Bronson, and The Partridge Family. Mayberry also directed over twenty made-for-television movies and mini-series including Probe, with Hugh O’Brien, which was a pilot for the 1972 sci-fi series Search; The Rebels, a 1979 movie starring Don Johnson and Doug McClure; Side by Side: The True Story of the Osmond Family, with Marie Osmond and Joseph Bottoms; and Challenge of a Lifetime, starring Penny Marshall. The two feature films that Mayberry directed were both fairly low-budget but were moderately successful. The Jesus Trip (1971; also known as Under Hot Leather) is a biker movie in which the motorcycle gang, found by police to be involved in heroin trafficking, hides out in a convent and ends up kidnapping a young, attractive nun, who eventually falls in love with Waco, the gang’s leader. The 1979 film Unidentified Flying Oddball, a Walt Disney Productions movie, is about a NASA spacecraft that travels faster than the speed of light and goes back in time to King Arthur’s Court in England. It’s another adaptation of the Mark Twain story “A Connecticut Yankee in King Arthur’s Court.” Surprisingly, the film features as King Arthur the popular British actor Kenneth More, near the end of his career. The last series Mayberry directed was a 1995 episode of Pointman, which ran for two years on the now-defunct Prime Time Entertainment Network. After that, he retired and, with his wife Sandy, moved to Fort Collins, Colorado, where he died on July 27, 2012.